I’ve been quite intrigued lately with the European Capitals of Culture. It’s a term I’ve heard thrown around for years, but never dug into the history, until now. Matera, Italy and Plovdiv, Bulgaria hold the titles of European Capitals of Culture for 2019. It will be an exciting year for both of them, and their regions. Matera and Plovdiv will dazzle millions of people this year with art, music, dance, literature, architecture, cuisine and more. I have personally wanted to see the unique, ‘Sassi’, of Matera for quite some time, and 2019 is probably the best year to do it. This post contains affiliate links. If you click on something and make a purchase we may make a small commission at no extra charge to you. 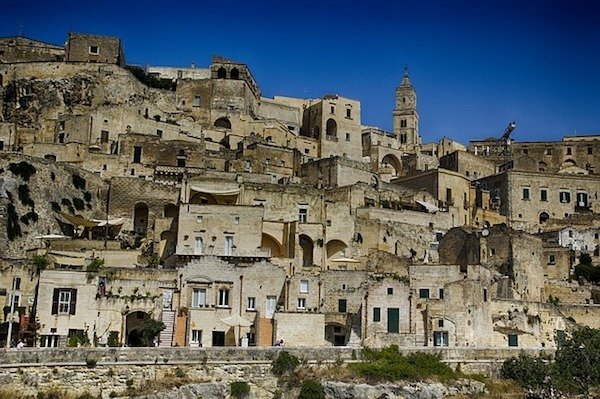 Check hotel prices in Matera before it gets all booked up! 1 How did the European Capitals of Culture begin? 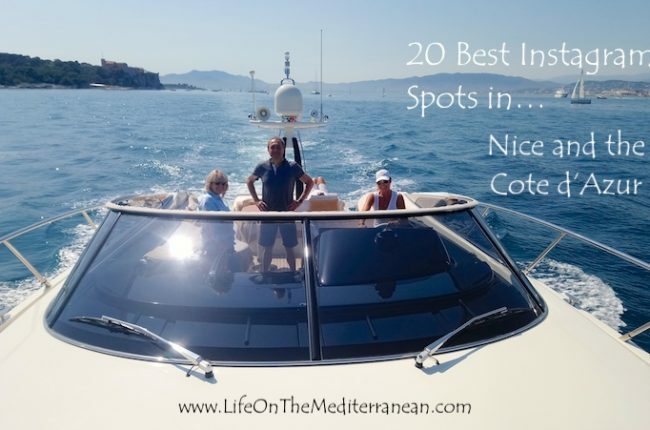 So many Mediterranean travel destinations have won the title of European Capitals of Culture. It’s well worth visiting these regions to experience, first-hand, what makes them unique. And it’s not just about visiting some museums. Don’t get confused thinking that the designation of European Capital of Culture means you just visit a lot of museums. Not true. It includes so much more. Europe is stoked in history and culture. You only need to walk down the street to see what I’m talking about. That’s like Rome, Italy. Although Rome has never held the title, Rome is like a walking museum to me! Just walk past the Coliseum, into the Pantheon, the Roman Forum, the Fountain of Trevi… and you see culture everywhere. Sit down for a plate of Pasta Carbonara, Cacio e Pepe or Saltimbocca alla Romana. You can taste the culture. Gelato? Don’t get me started. You know what I’m talking about. There are so many unique cities to discover from a touristic as well as a cultural perspective. Check Rome Hotel Prices and Availability. I highly recommend Hotel Ponte Sisto. 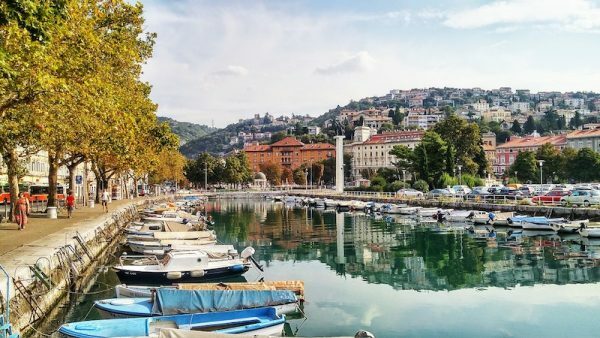 And be sure to go in the summer to see their Lungo il Tevere summer festival. 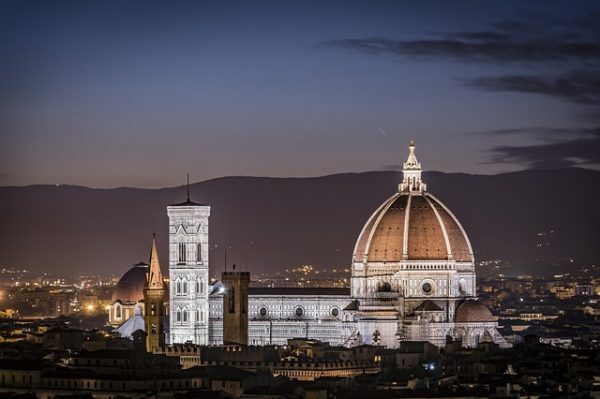 How did the European Capitals of Culture begin? In the early 1980’s, the Greek Minister of Culture, Melina Mercouri, crafted a plan to unite cities across Europe. Her vision was to raise awareness of the individual, rich, diverse, cultural histories within European cities. Each year a couple cities would be selected, and they would hold the title of European Capital of Culture for the entire year. 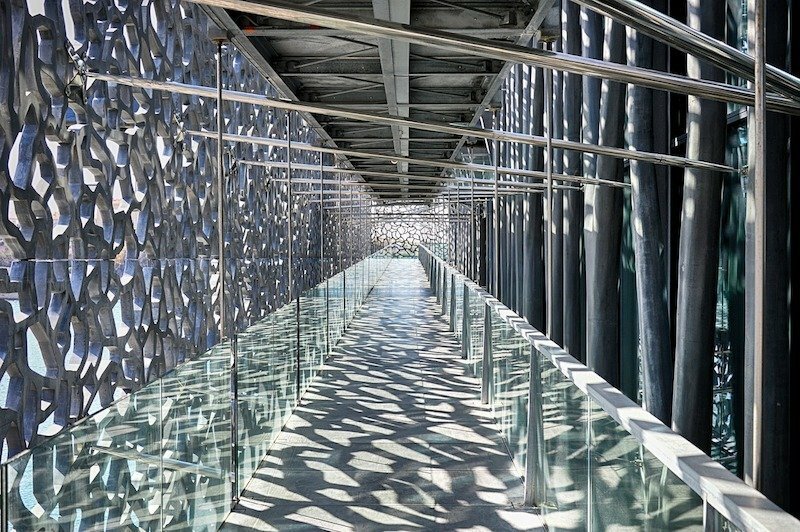 It is now one of the most high-profile cultural initiatives in Europe. Cities are selected based on a number of criteria, such as their strong European cultural roots. The residents also need to commit to the continued, long-term development of the city and region, beyond their title year. It’s a big endeavor. It sounds a bit vague, I know. But it’s like teaching recipes your grandma used to make, which reminds me of the Pasta Grannies on Youtube. Have you watched them? If not, you need to, because they are a riot! Absolutely brilliant! Or the Irish revival of the Gaelic language. If we don’t pay attention, we will lose site of these and that would be a massive shame. To put it in tangible terms, so many museums, statues and monuments have fallen to ruin, unfortunately, due to lack of funding. Part of this program is to help cities find funding to repair these cultural histories so that residents and the public can appreciate them in the future. There are a lot of factors involved, and so many European cities have hidden cultural histories that need to come alive again. 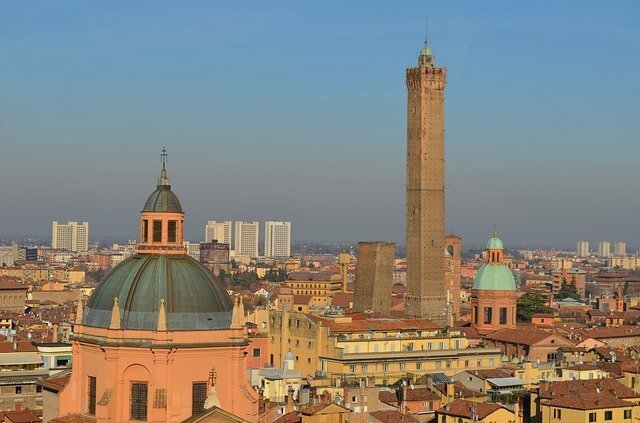 Bologna, Italy won in 2000, the Millennium Year, when 9 cities won titles. What does it mean to win the title? In a nutshell, it’s a great way for dwindling, but culturally-rich cities to pull up their pants! The city may need to improve their infrastructure, which may include redeveloping areas or structures that support the arts and culture. Their end goal is to raise their international profile as a culturally-rich city, and to increase tourism because of it. Theaters are renovated, old bus depots are converted, tram lines are reinstated, and statues get a good scrub. New art spaces are created, sections of cities get a facelift, and the residents and guests enjoy the transformed city for years to come. The Culture Capital city and the entire region benefit from the additional tourism dollars generated. It’s a win-win for all. These titles allow cities to go out and raise funds to help them redevelop. For instance, Marseille, France, raised more than $18 million in private sponsorships from 207 companies! 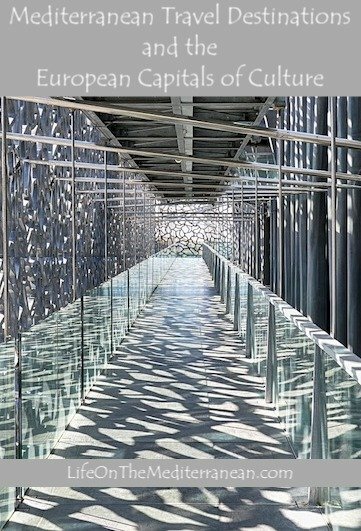 Some of these funds helped to create the new Museum of European and Mediterranean Civilizations (MuCEM). That’s the main photo above. A lot of Marseille was rejuvenated as a result of winning the title, which it desperately needed. But not all cities need to undertake massive regeneration. However, winning the title of European Capital of Culture truly helps many cities bargain to get money they need to tart up their cities. Athens, Greece won the first title in 1985, when they called the pageant the European City of Culture. Former French President, Francois Mitterrand inaugurated a very important exhibition at their National Art Gallery. The city highlighted the culture of Greece through dance, music, arts and numerous exhibitions throughout the year. Athens really needs no introduction when it comes to introducing their cultural heritage. You see today how the Greeks continue to improve many of their most important historical sites for the public to enjoy today. You have the famous Acropolis to see, the National Archaeological Museum, the ancient Agora Marketplace, the Plaka, the Temple of Zeus, the original Olympic Stadium and the list goes on. To highlight a few more locations…And yes, I know that Portugal is not on the Mediterranean but I often include it anyway since it’s so close. 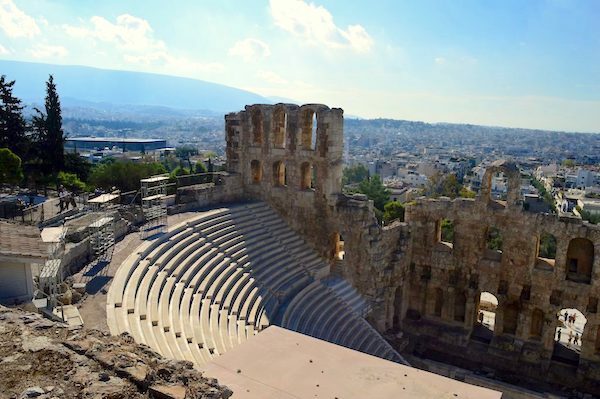 Head to the hear of the heart of the first European Capital of Culture in Athens, Greece. Check hotel prices here. Lisbon is a city used to riding the ups and downs of fame and fortune. In 1755, an earthquake struck and decimated the city centre, leaving a scar that’s still visible from viewpoints across Lisbon’s seven hills. Yet, now she is definitely a city on the up. Awarded the European Capital of Culture in 1994, today Lisbon’s ceramic tiles and picturesque pastries have captured the hearts of the instagram generation. And there’s substance beneath her style. Lisbon has two UNESCO World Heritage Sites within her borders, another one in the pipeline, and a third easily accessible as a day trip to the forested whimsy-world of Sintra. The Jeronimos Monastery, also known as the Hieronymites Monastery, and the Tower of Belem look out over the port. 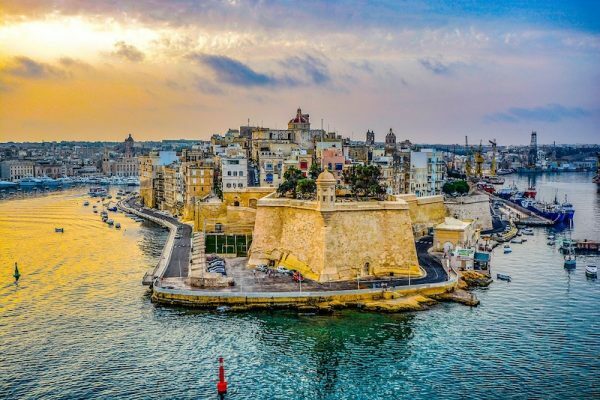 And a region of the city itself finds itself on the tentative UNESCO World Heritage list, given its blend of architecture and influence over centuries of seafaring discovery and globalization. But neighbourhoods are unmistakably Lisbon. The narrow streets of Alfama, all cobbles and flowery garlands with new vegan eateries emerging among the traditional cervejarias. Soulful fado music spills out in Alfama and Bairro Alto. And the stately, leafy Avenida de Liberdade strides from old to new, flanked by 19thcentury buildings and hilltop walks to the Lisbon’s loosely corralled museum district. 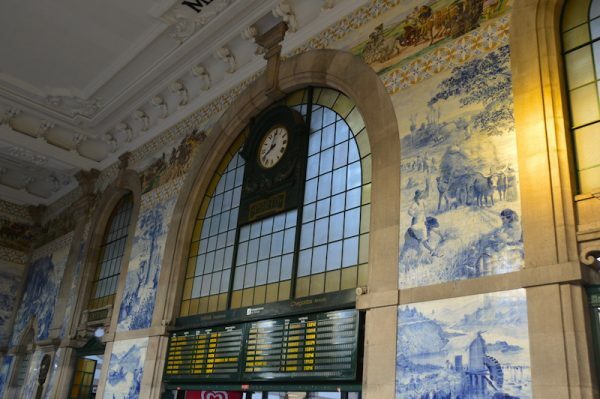 Lisbon is a city of narrow streets, bright trams and azulejos tiles that decorate centuries of history. But it would be remiss to gloss over the food. Pasteis de Belem, unjustly described as “custard tarts” hail from Lisbon from a bakery in Belem. The salt-tang of the ovelha and presunto “cheese and ham” combination flourishes across the city. And the Mercado da Ribeira, officially called the Time Out market, makes it easy for cautious visitors to try out new flavours. Amber From With Husband In Tow says Porto, Portugal is where you can taste and hear the culture. Porto is a city in Northern Portugal located along the Douro River. 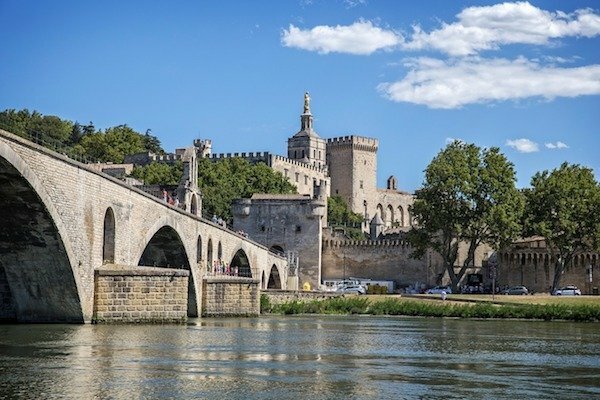 It’s one of the oldest cities in Europe and is a UNESCO World Heritage Site since the 1990s. Porto’s urban layout is reminiscent of some British and Northern Irish cities. It’s on a wide river and the houses and buildings climb up from the river banks. Many of the buildings are painted in bright colors and have views of the river. Porto is Portugal’s second largest city and the jumping off point to the world famous Douro wine region. The city is also an amazing destination for people who travel for food, with many unique Porto food specialities including the famous Francesinha sandwich. 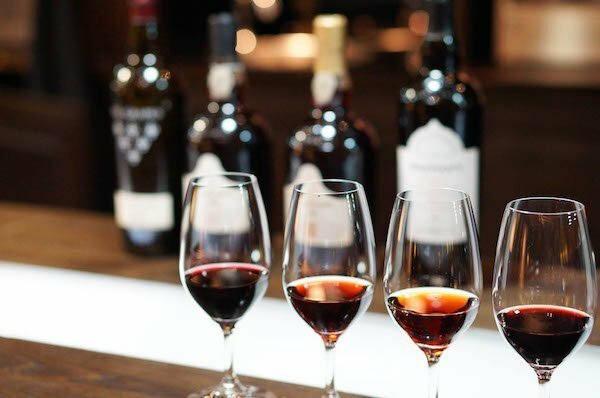 The Porto historic centre is the perfect place to wander around and get lost, all while tasting one of the city’s best known products, Port wine. Porto provides its visitors with world class culinary experiences, museums, and tours. They host numerous festivals and cultural events throughout the year. Most notable is one of the Festas Santos Populares, the festival celebrating St. John (Festa de São João). This festival occurs in June of each year. Part of the festival includes a regatta of the traditional Port Wine boats. Corinne from Reflections Enroute says Istanbul is culturally unique because they have a foot in two continents. 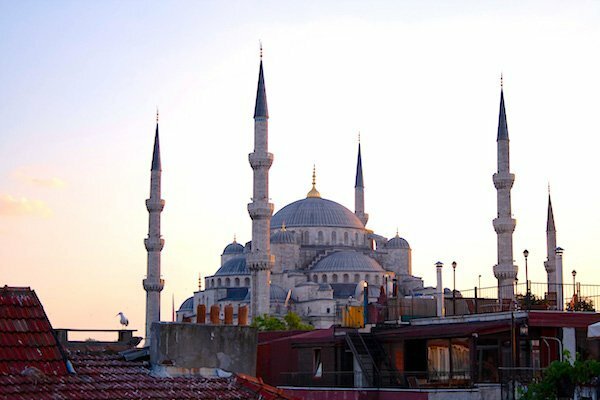 Istanbul, the city that straddles two continents is truly a cultural mecca. From Anatolia, comes traditions from the East. The larger part of Turkey resides on this side and certainly lends its flavor to its largest city. You can see it in the scarves the women wear, and you can taste it in the kebabs. Likewise the fashion, the outdoor restaurants, the cosmopolitan flair seems so European. This mix makes Istanbul an intoxicating destination, one with a peppered history of Christianity and Islam. There is so much to do in this sprawling city that you could visit one hundred times and still not see it all. From the Sultanahmet area, tourist central, to the Asian side of Kadikoy, there are museums, restaurants, castles, cafes, boats, and so much more. Getting up early and catching the ferry to the Princes Islands will give you a glimpse into a Christian past. On the other hand, you could head straight into the frenetic areas of the Egyptian or Grand Bazaar which will take you back to centuries of merchants hawking wares. One of the best things to do in this city, is to sit in one of the outdoor cafes, or courtyards and sip some traditional Turkish tea, cay. 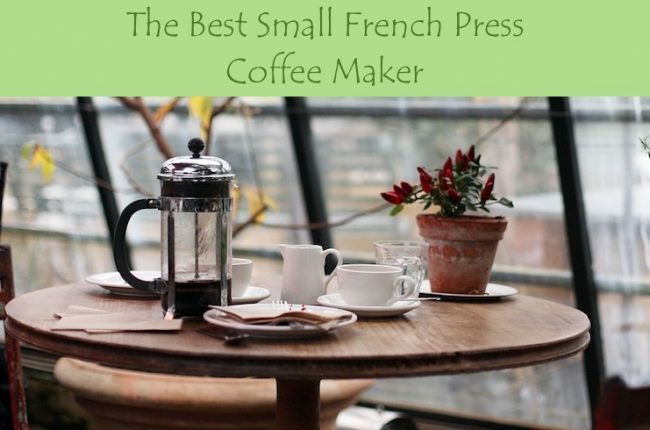 Just like the beautiful spring blossoms that adorn the city, the tea is served in tulip-shaped glasses, on a saucer with a huge lump of sugar. If you are daring, drink it the old way, holding the sugar between your teeth as you sip. Make sure to pick a spot where you can watch the sunset over the city skyline. You’ll never forget Istanbul. 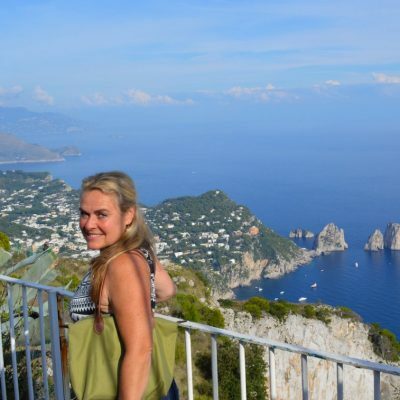 For more information, check out Corinne’s Istanbul Travel Guide. And check hotel accommodation in Istanbul here. San Sebastian is arguably one of the best food and cultural destinations in the world. Located on the stunning Bay of Biscay in Spain’s Basque Country, it is the home of pintxos, cider, and several Michelin-starred restaurants. San Sebastian’s history is long and full of influences from outside forces. San Sebastian’s culture is a mixture of its traditional cuisine, it’s proximity to France, and its rich Basque heritage. Referred to as Donostia in the local Basque language, the architecture of the city is some of the most stunning Europe. The narrow streets of the Old Town, or Parte Vieja feel like stepping back in time. Until the pintxos bars open. 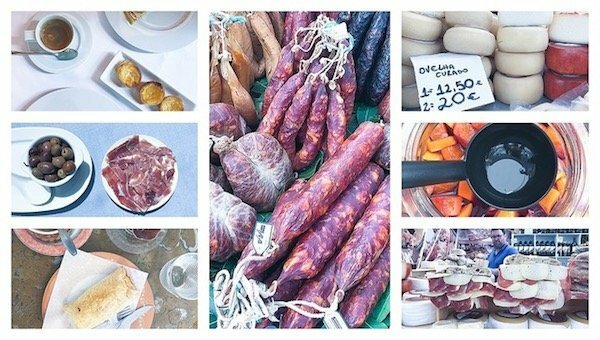 The cuisine of San Sebastian is Basque first and foremost. Exploring the food of San Sebastian is a must when visiting. Most parts of Spain call them “tapas,” but in the Basque Country, they call them “pintxos.” Throughout San Sebastian, visitors and locals alike, travel the narrow streets of the Parte Vieja neighborhood in search of delicious small bites and dishes. Pintxos are generally eaten in single serving bites with 2 or 3 different pintxos eaten in one pintxos bar before moving on to the next stop. While it is possible to find simple pintxos such as jamon on bread, in San Sebastian, Basque chefs have taken pintxos to a whole new level of refinement unique to this gastronomy epicenter. There are plenty of things to do in San Sebastian that don’t involve food. You can take a swim in the pristine waters of Playa de la Concha, or visit the magnificent Catedral del Buen Pastor. It’s easy to stroll around one of the most beautiful cities in Europe and admire its architecture. The city also hosts several major cultural events each year, including an International Film Festival and a Gastronomy Conference. 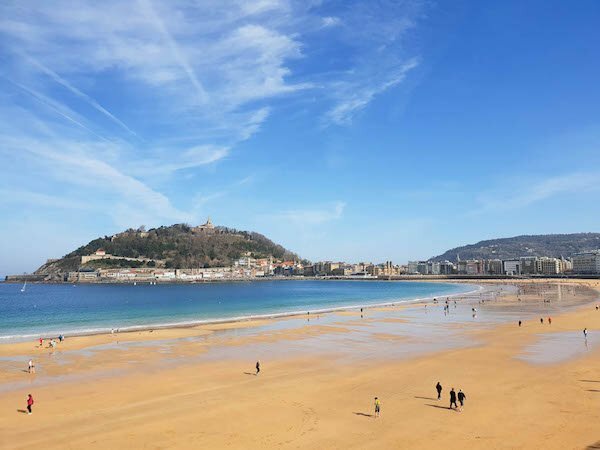 For food lovers and culture lovers, San Sebastian, Spain is a must visit. Book a stay in San Sebastian. Micheal from Time Travel Turtle says in Paphos, Cyprus you celebrate the ancient and modern. Paphos has long been a holiday favourite for its beaches and warm weather (after all, it does have more than 320 days of sunshine every year!). But since it was European Capital of Culture in 2017, both tourists and locals are looking at the city with more depth. You think of the culture of Paphos in two ways – ancient and modern. When it comes to the ancient, the most impressive element is the Kato Pafos Archaeological Park. 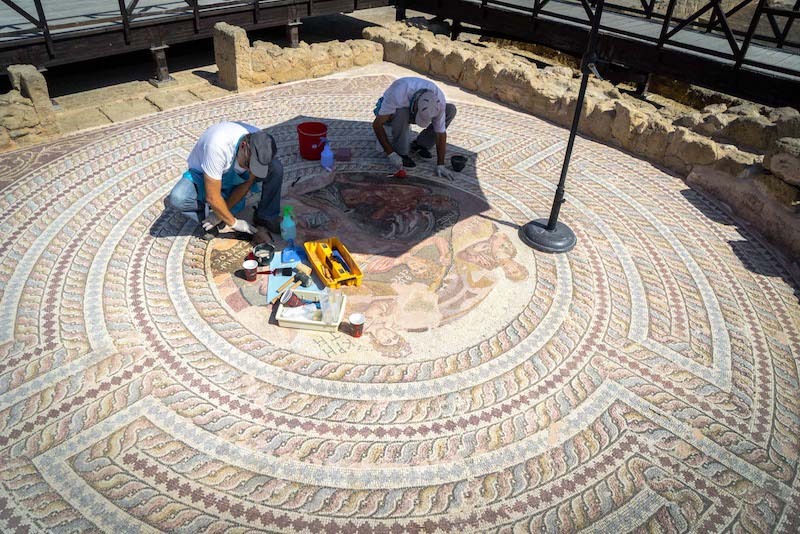 These remains of a city from the 4th century BC have absolutely incredible floor mosaics and the park has been designated as a cultural World Heritage Site. Other ancient sites worth seeing are the impressive Tombs of the Kings that has large underground graves that feel like houses. And there’s Kouklia, the original temple site of the Cult of Aphrodite, where the Greek Goddess of Love appeared for the first time in history. As you explore the things to do in Paphos more, the modern culture reveals itself, but it still has strong links to tradition here. The art studios have adapted mosaic techniques or use the stunning coastline as inspiration. And with the famous local sweet stores, you can buy the delicious ‘loukoumi’ that has been made the same way by hand for generations. One of the most enjoyable ways to spend a day exploring the culture is with a road trip through the small villages around the Akamas Peninsula. Stop in one of the local producers and taste their Cypriot wine and snacks. Paphos is not a city of art galleries and museums. The culture is part of everyone’s life here. They celebrate it in the way they spend their days and welcome visitors to join them. Check out the lovely resorts in Paphos, Cyprus. Matera is a city like no other in Italy. 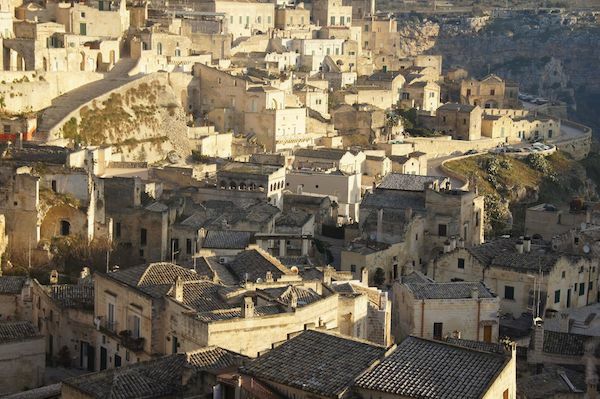 The old part of the city has two districts, known as sassi, that are filled with cave dwellings. Step into one of these districts, and you’ll feel like you’ve stepped back in time hundreds or even thousands of years. In fact, the sassi have been the backdrop for many Biblical films and television series to represent the Holy Land. The caves were formed naturally by erosion in the tufa limestone, and have been inhabited for the past 7,000 years or so. The two sassi districts sit on either side of a valley, and are divided by a ravine cut through the limestone by the Gravina river. Many of the caves in the Sasso Barisano, on the northern side, have been renovated and repurposed as offices, hotels and restaurants. The caves in the Sasso Caveoso, on the southern side, sit uninhabited and still look much as they did centuries ago. 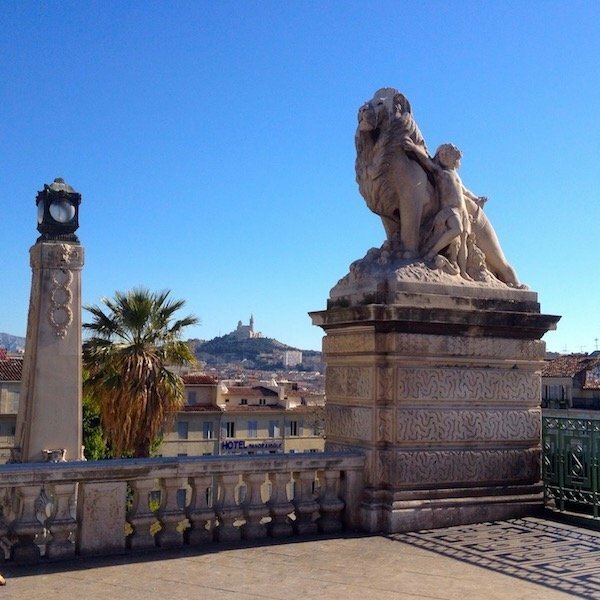 Both sassi are fascinating places to explore on foot. The caves have been romanticized now, but a few decades ago they were infamous for their poor living conditions, and were known as the “shame of Italy”. The people who lived here were very poor and had no electricity or running water. Carlo Levi’s book, Christ Stopped at Eboli, brought attention to the situation, and the inhabitants were relocated in the 1950s and ’60s. Matera’s sassi are the most impressive site in the Basilicata region. Most visitors skip the rest of Basilicata and visit Matera as a day trip from the neighboring southern Italian province of Puglia. Cultural activities in Matera include the Women’s Fiction Festival, held every year in September in the sassi. The MUSMA modern art museum is also spectacularly situated inside a 17th-century cave palace. Book your stay in Matera before it gets all booked up! These are just a sprinkling of Mediterranean destinations with ties to the European Capitals of Culture. There’s so much to discover and see. 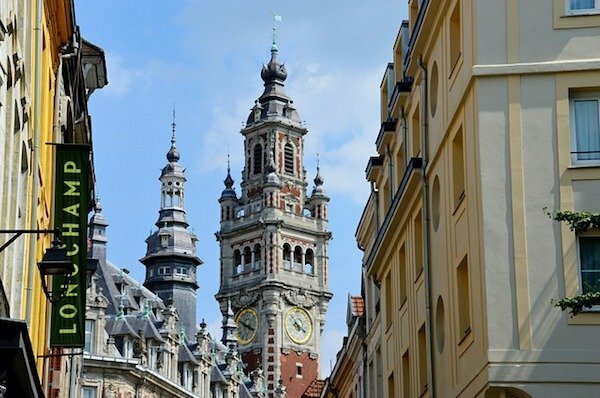 These are all wonderful places where you can easily grasp the culture and history, so we can better understand our ‘neighbors,’ and appreciate how they contribute to our European patchwork.